When you order fresh roses from Ferns N Petals, you buy roses that will make a lasting impression! These fresh flowers are hand selected from our farms and shipped direct to your door. Looking for fresh roses that are bright, beautiful, and ready to bloom for your occasion? Buy roses today that are sure to please!Ribbon on vase not included. 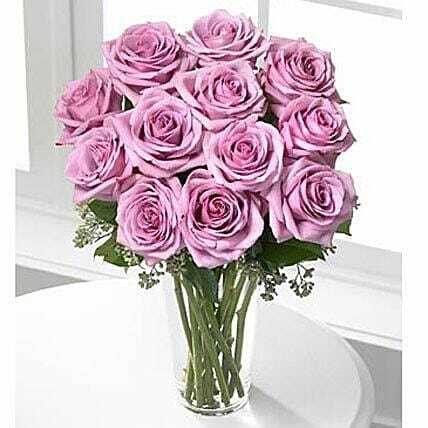 Note Due to this rose variety, lavender roses can vary in color between purple to a pinkish mauve color.